Responsible of handling importation process to ensure process implementation as per company requirements and to maintain company rights. Monitor importation process implementation as per (Company – suppliers – Governmental) instruction to ensure no deviation related to process. Communicate with different governmental authorities to finalize required documents – formal steps on required time. Communicate with (Customs Clearance) Broker to handle issues and to provide with required documents to ensure process implementation as per (Company – Suppliers – Governmental) instructions. Communicate with (Finance) department regarding all (documents – form 4 – Cost price) are ensured on required time. Develop required reports related to (Exist Stock – Expire Stock) to categorize – prioritize branches as per their needs. Communicate with suppliers to handle requests related to their products to ensure support and to maintain company achievement. Communicate with & arrange audit of MOH affiliated committees for the withdrawal of samples process and sending it to MOH laboratories to issue the results of the analysis to release these products officially. Communicate with & arrange audit of costumes affiliated Committees responsible for the post follow-up after correction errors for imported products to release these production officially. Develop frequent reports to be submitted to direct manager to reveal achieved versus planned objectives. 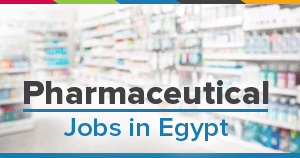 1-2 years' experience in Importation operations (Pharmaceutical background) & dealing with MOH Labs. Organized and Follow up skills.